If you're in the tooling and machining industry, you likely know HSD spindles. These hard-working spindles generally give hours of reliable service without complaint. As they get older, normal wear and tear can render them inoperative. You might also suffer a major failure due to contamination, overheating or misuse. In all cases, our team here at Colonial Tool Group has the experience and training to inspect, service and rebuild your HSD spindles and get them back into your hands so you can get back to work. You may find cheaper HSD spindle repair, but any savings you see at first will quickly evaporate if your spindles break down again quickly. That is the problem with some spindle repair companies that cut corners and don't get to the root cause of a spindle failure. HSD uses top-quality components in the fabrication of their spindles, which is why we only use the same or greater quality components when rebuilding them. We also machine to the same precise tolerances as HSD when they first make their spindles, so you can expect the same wear life or even greater. This is how we ensure every customer receives the best possible service. You won't find this attention to detail and professional approach everywhere, so come and discover why more customers turn to Colonial Tool Group when they need service and maintenance on their HSD spindles. The best way to get started is to fill in our free online quote form. Provide as many details as you can on the issues you're having with your HSD spindles and one of our expert technicians will study your case. Depending on the severity of your problem, we will prepare a quote to repair or fully rebuild your spindles back to HSD specifications. 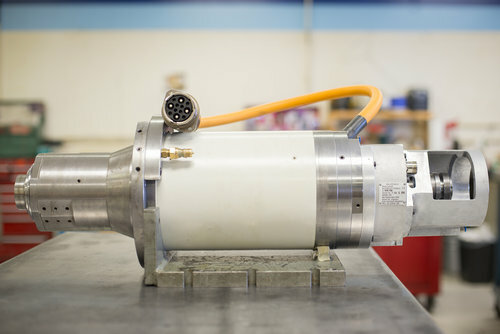 This includes a battery of tests once the maintenance is complete to guarantee your HSD spindles will work perfectly once you get them back. Our Colonial Tool Group team is proud of our reputation as a spindle repair leader and has the HSD spindle maintenance experience necessary to deliver an unbeatable rebuild. Obtain your free quote today and we'll get started on a rebuild schedule that meets your needs and expectations. We always get your approval before starting repairs, which is another way we stand out from the competition on our top-quality HSD spindle rebuilds.